On 18 September, there will be a definition meeting for a new task called Solar Energy in Industrial Water Management in Gleisdorf, Austria. The initiator of this international research project within the IEA Solar Heating and Cooling Programme is Christoph Brunner from Austrian organisation AEE INTEC. The aim will be to investigate and improve solar-powered water separation and purification in industrial settings. Researchers and industry representatives are invited to attend the one-day workshop to discuss the agenda and the structure of the global initiative. The photo shows AEE INTEC’s laboratory-size membrane distillation system. 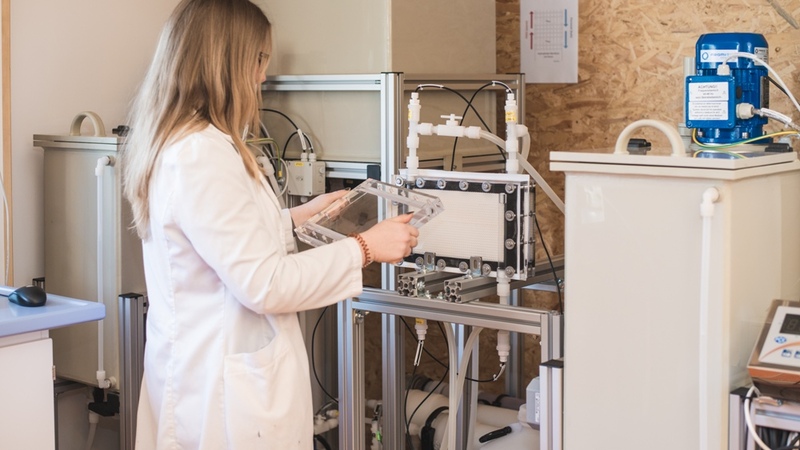 Membrane processes have been employed in industry since the 1960s for a wide variety of applications, for example, to desalinate brackish water and seawater, purify waste water, recover paint created by electrodeposition and sterilise liquids. The energy for most membrane technologies, however, is supplied by electricity. “With our research into solar-powered separation technologies, we’re addressing several important environmental issues at once, for example, water scarcity, material recovery and energy saving,” Brunner explained. He said that globally, 68 billion tonnes of raw material were consumed but not recycled each year, ten times more than in 1902. 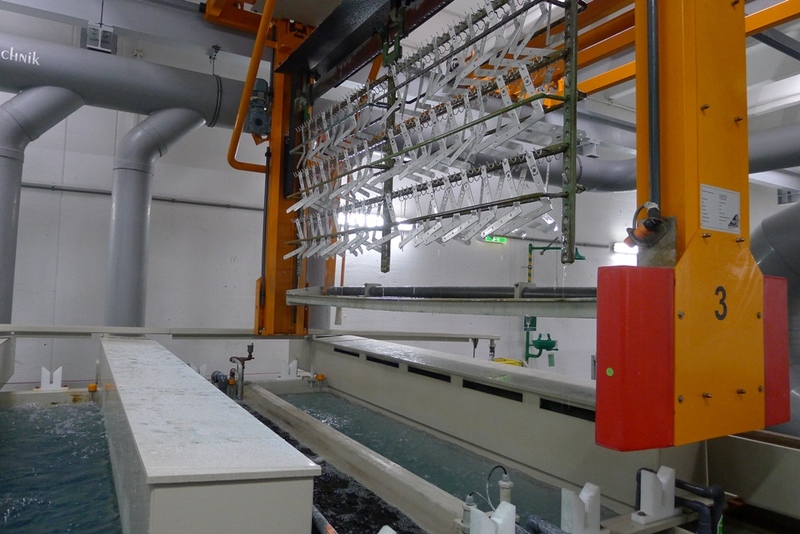 New technologies might have huge potential for processes such as galvanisation (see photo below), where components are rinsed several times over a bath, diluting it gradually. An increasing number of chemicals must be added to maintain the required concentration. So far, no suitable energy-efficient technology has been found for powering this process. But researchers from AEE INTEC are now developing a membrane distillation technique for concentrating the galvanic baths based on low-temperature waste heat or solar thermal. Thermally powered membrane distillation could likewise be a solution when trying to separate water from other substances, such as galvanising chemicals. Those substances are not always contaminants. Sometimes, the industry uses precious metals such as gold for galvanisation, which makes their retrieval well worth the effort. Industrial waste water also contains precious metals, carbon, nitrogen, phosphor and potassium, all of which could be recovered to a significant degree by suitable technologies. There are yet other thermal technologies that might be of interest, such as pervaporation or vacuum evaporation. The former is membrane-based too and can separate organic fluids from water during vaporisation. The latter uses lower temperatures than the ones observed in typical distillation processes, as reduced pressure will make water evaporate earlier. However, electricity is needed to create this vacuum. The first task challenge will be to create an overview of technologies, list their advantages and disadvantages and find potential applications where they promise better results than currently available methods, such as distillation or reverse osmosis. 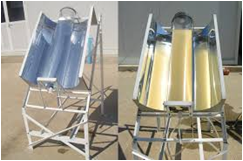 The researchers also plan to investigate if solar collectors could serve as reactors for separation. Rather than transferring heat from collector to reactor, the fluid that needs to be treated could run directly through the collector. Separation processes worth investigating might include chemical precipitation. Another method to improve chemical reaction is ultraviolet radiation. Spanish research centre CIEMAT has been investigating the opportunities in this field for many years. For example, a chemical reaction under the influence of UV rays can split a toxic molecule into several non-toxic or less toxic versions (see the photo above).